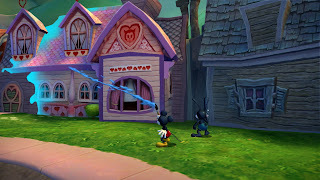 In news that doesn't involve Microsoft or the Xbox One, the sequel to Epic Mickey will be ported over to the Playstation Vita. Though Epic Mickey 2 was released to poor reviews, and even caused a studio to close down, Sony is moving forward with the port and is releasing it on June 18. Whether or not it will help the game remains to be seen, but it is another game to help get past the lack of anything else.